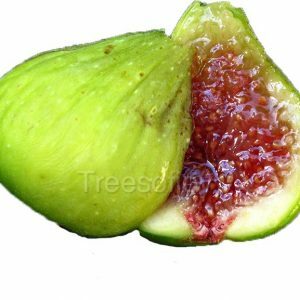 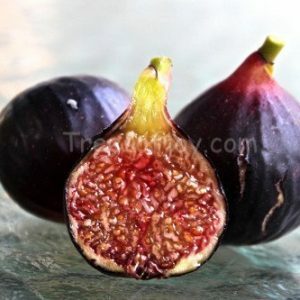 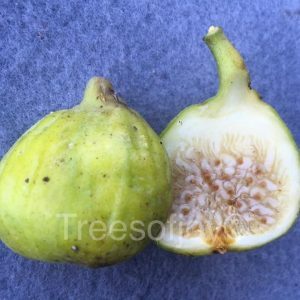 Green figs with a blush of purple, with sweet red pulp. 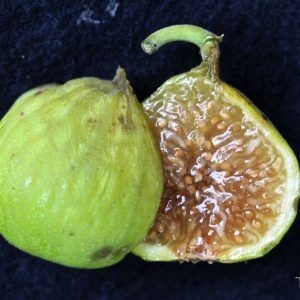 Ripens late summer. 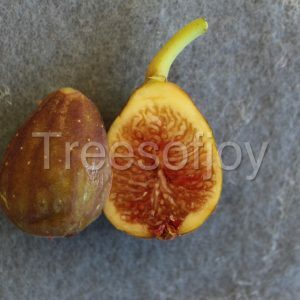 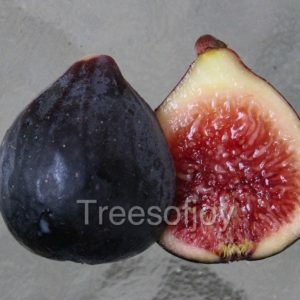 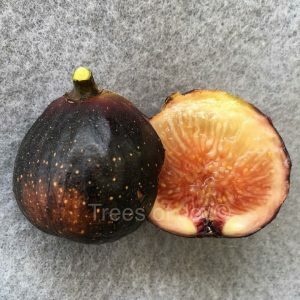 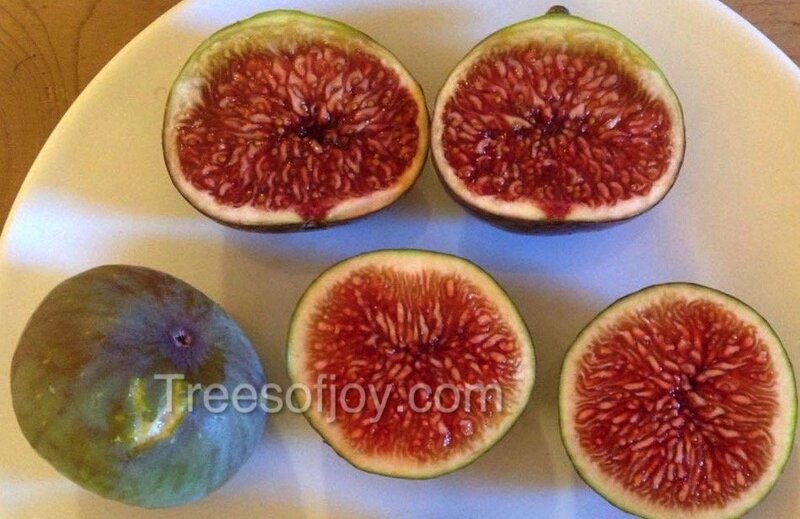 Thicker than average skin allows figs to be less fragile, and longer storing.